The polar coordinates are then transformed to rectangular coordinates. Phase portraits can be selected from a number of systems. Stable fixed points are indicated by solid disks, while unstable points are shown as open circles. Each system has a parameter that you can control using its slider bar. 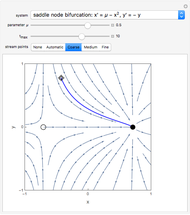 Drag the locator to highlight a single trajectory starting from any initial state. 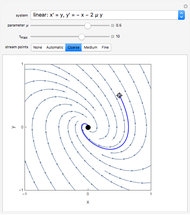 The dynamics of the selected trajectory can then be visualized using the slider bar for . To focus on a single trajectory only, set the density of the stream points to "none", select an initial state, and move the slider for . Some of the characteristics of the systems of ODEs selected for this tour are described. These insights suggest interesting explorations. 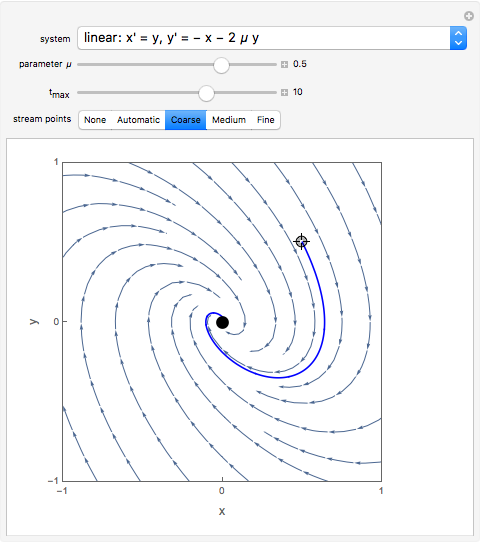 For the linear system, produces an unstable spiral, is a center, and produces a stable spiral. 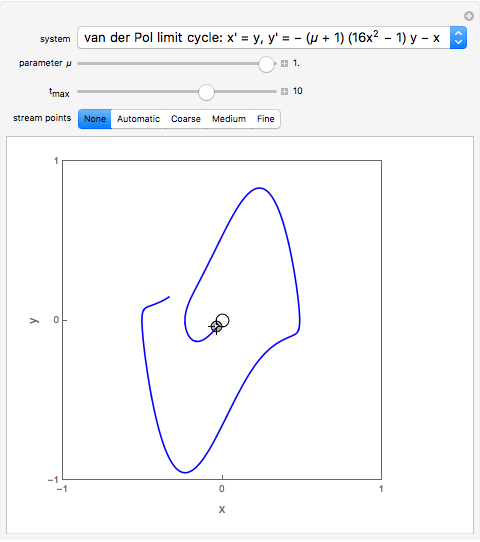 For the van der Pol equation, reduces to a linear center. As increases, a limit cycle forms. The critical value of the parameter for all the bifurcation cases occurs at , where the number and stability of the fixed points change, causing a qualitatively different dynamical picture. 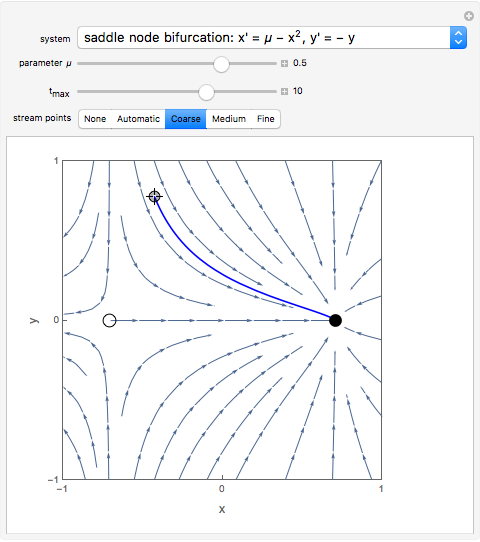 The saddle node has no fixed points for and fixed points at for . The transcritical fixed points at and switch stability at . The supercritical pitchfork has one stable fixed point at for . When , becomes unstable and a pair of symmetric stable points forms at . The subcritical pitchfork has a stable fixed point at and a symmetric pair of unstable points at for . When , becomes unstable and all trajectories diverge. For both the supercritical and subcritical Hopf cases, the origin is a stable spiral when and bifurcates to an unstable spiral when . 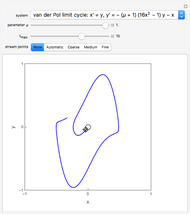 When , the trajectories approach limit cycles. S. H. Strogatz, Nonlinear Dynamics and Chaos, Jackson, TN: Perseus Books Publishing, 1994. Brian Vick "A Tour of Second-Order Ordinary Differential Equations"